How Can Working with Multiple Agents Put Your San Diego Home Search in Jeopardy? On a weekly basis, I come across clients who really do themselves a disservice when they're looking to buy a house. We often get calls from people who see our sign outside of a listing, and when we ask them if they are working with an agent, they respond that they're not working with a single agent; instead, they are calling around to multiple agents and asking that they send them homes that fit their particular needs when the agent comes across them. This is not a great idea for multiple reasons. As a high-producing agent who is working with many buyer and seller clients, there is no way I am going to take the time to send listings over to someone who hasn't committed to working with my team. We are more concerned with helping our clients achieve their buying and selling goals. They have signed a contract with us, so it's our duty to make sure they have the best possible experience when buying or selling a home. The people who don't want to commit to a single agent are either not going to find help, or they're only going to find help from someone who is not a top-level agent. The kind of agent that will help them is one who is desperate for business, who isn't going to dig up off-market opportunities for them, and who isn't going to have the negotiating skills to make a deal happen in a way that is most beneficial to you! 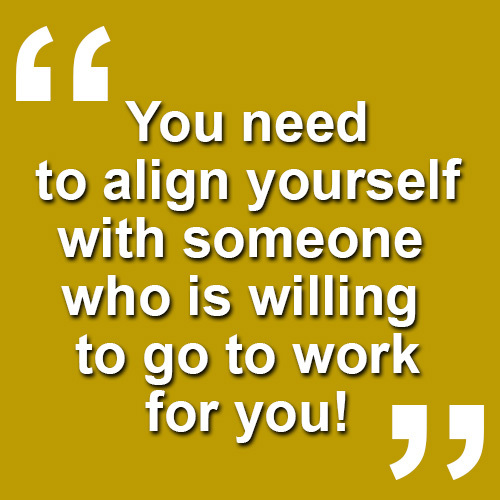 Bottom line: You need to align yourself with someone who is willing to go to work for you! If you have any questions, or if you would like our assistance in your real estate transaction, give me a call or shoot me a quick email. I would love to give you a hand!